A communications executive for the Redmond, Wash.-based company, Frank Shaw, said in a blog post this week that such characterizations are more about getting page views on Web sites than predicting doom for the product. 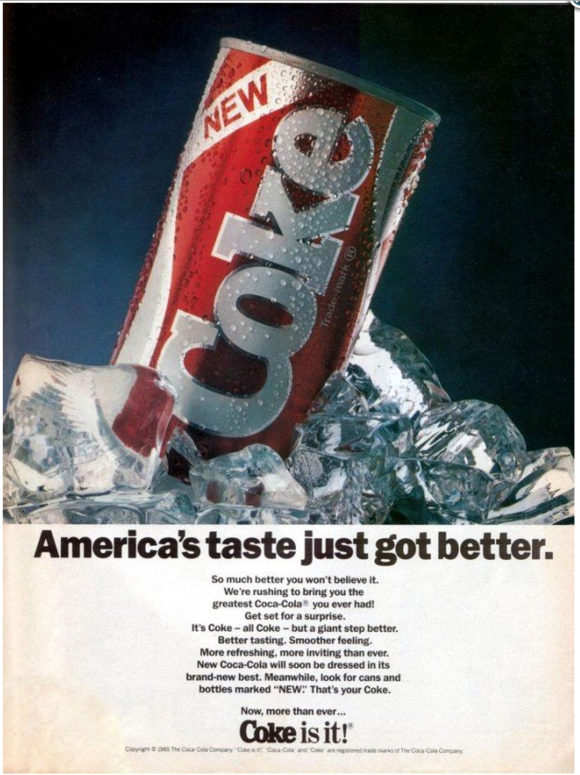 Despite the fact that Microsoft has sold more than 100 million licenses for Windows 8 , in recent weeks the operating system has been likened to “New Coke,” a major marketing failure Coca-Cola suffered in 1985. The world’s largest beverage maker did an about-face and dumped the new formulation in less than three months. Don’t expect the same reversal of course by Microsoft, judging by the company’s response to the barbs. Lots of people are welcoming the notion that Microsoft will improve Windows 8 when later this year it releases Blue, the major update to the OS expected to be available through the Windows Store and not through a typical push update. Users have complained loudly about the lack of a Start button in Windows 8 and rumors have been floating around that Microsoft will resurrect it with Blue, as well as let people boot directly to the Desktop and bypass the tiles-based Start screen that includes both Modern and Desktop apps. PCWorld’s Tony Bradley opined that bringing back the Start button could actually turn Windows 8 into a huge success . “Microsoft could benefit from the Start-button backlash in much the same way Coke Classic rebounded from the New Coke uprising,” he wrote. The lack of a Start button is confounding, but people should quit dissing the OS and just start using it. Once you get through the learning curve, the missing Start button isn’t that big of a deal. The ability to shut off your machine, which the Start button so nicely offered, is obviously still there; it’s just found in a settings cog in what’s called the Charms bar, which you get to by dragging your mouse to the bottom right of your screen. Same thing with frequently used apps; just tap the Windows key, and you’ll go to the Start screen where you can double click them and go. Can’t find the Snipping Tool or a particular app? Just search for it in the Charms bar. On the flip side, Computerworld’s Preston Gralla points out that bringing back the Start button might actually be a big mistake for Microsoft. Apparently, the Start button Microsoft may include with Blue may not work the way it did in Windows 7, but merely pull up the Windows 8 Start screen, which is basically a screen full of app tiles—the Modern interface that’s so vastly different from the Windows of old. Every day I use a Lenovo IdeaPad Yoga , a fantastic touchscreen Ultrabook that makes Windows 8 look pretty good. While I spend my work day mostly on the desktop using a keyboard and mouse, if I’m killing time on the sofa or sitting on an airplane the tiles-based Modern interface is more appealing because of the laptop’s touchscreen capability. So while not everyone sees the near-term need for touch on the desktop and what might be seen as a conflicted operating system that can’t decide between the Desktop and the Modern Start screen, as more people start using Windows 8 on machines like mine my guess is there’s going to be less griping about things like a missing button.